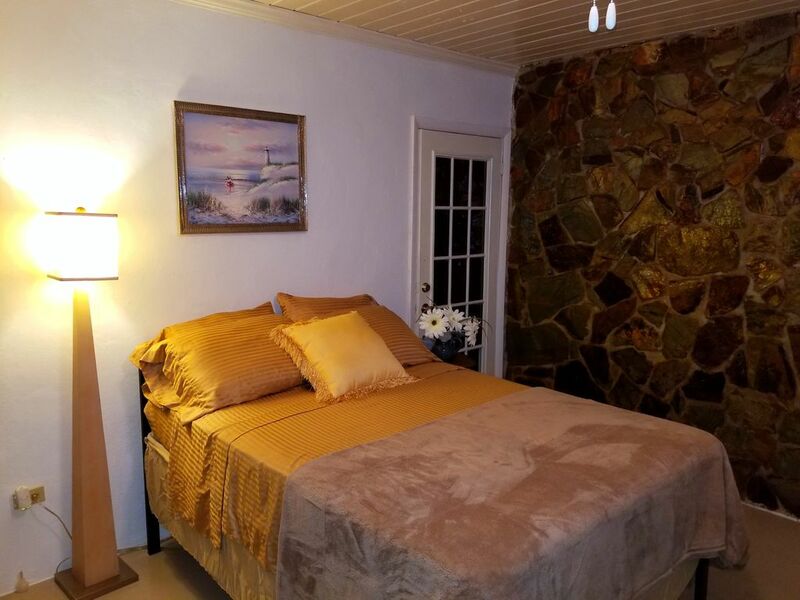 This clean and cozy studio apartment is in the quiet western district of New Providence Island. It is a 4-5 min drive from the newly built mega hotel "Baha Mar", and a 2-3 min drive to the popular IMAX theater "Fusion Superplex". The airport is a comfortable 8-10 min drive for your convenience. The famous "Arawak Cay" also known as the "Fish Fry" is about a 7 or 8 min drive, and downtown Nassau is about 10 - 12 mins away. We will be elated to assist you with any activities during your stay! I am married with two children and my family and I live on property. I've worked in the hospitality industry for almost 20 years so I absolutely enjoy meeting people and hosting them at our cozy studio apartment.